Are Photographers Telling Lies about the Aurora Borealis? 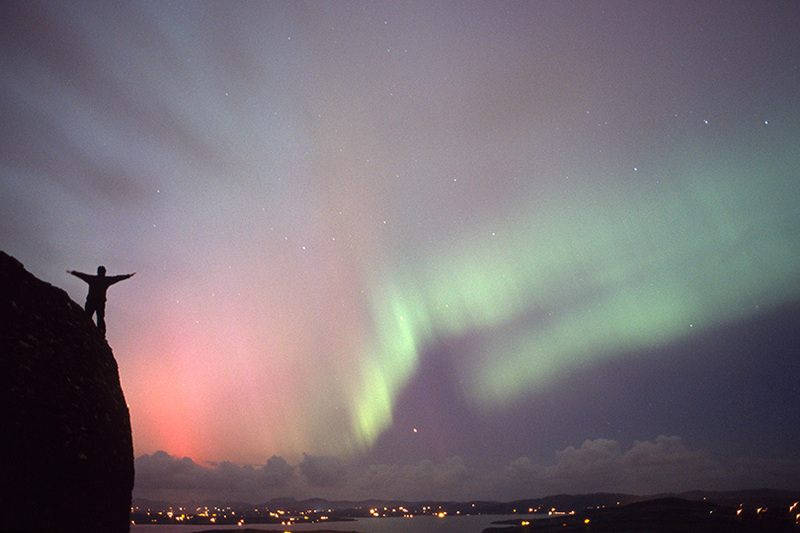 Northern Lights as seen from north coast of Ireland in 2004. Fuji Provia 400F with exposure of approx 40 seconds.